Minigun Mounted in a C-47 known as "Side-Fire". In the Right Corner is the Original Mounts. 1963. 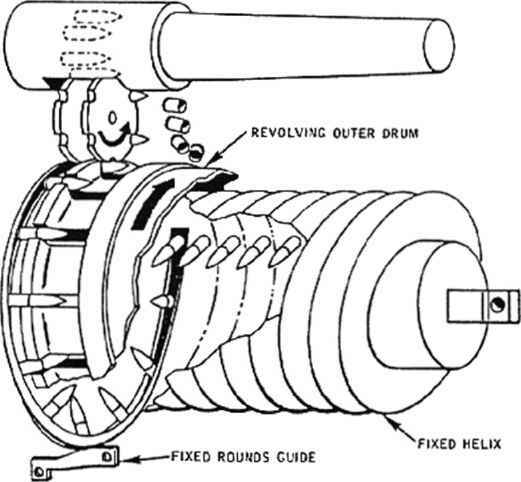 This was a single-ended system with a new ammunition conveyor wheel between the exit of the drum and the entrance to the gun. There were two other Minigun single-ended Link-less Feed Systems designed and used in speciality installation. 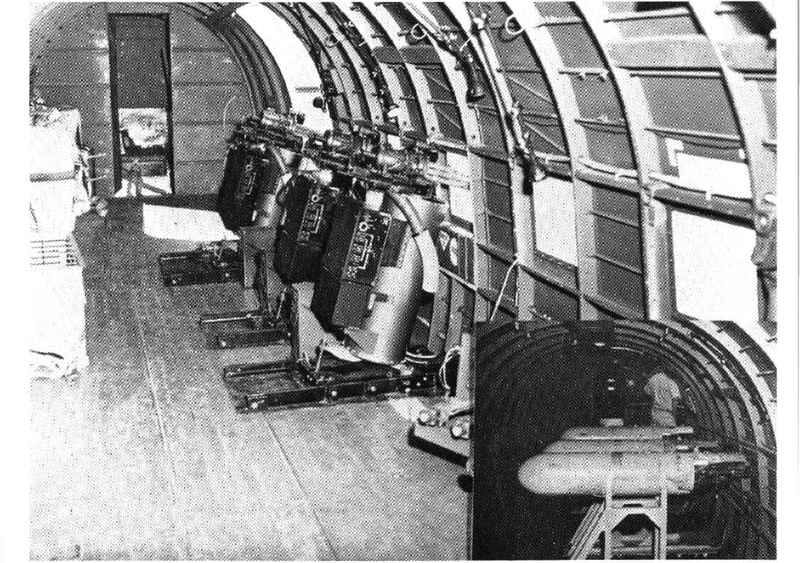 The first was the Minigun Module for "Side-Fire" and the second was for the nose gun bay of the AT-37D.